I wanted to take a quick step away from my usual fashion-talk and give a little ode to one of my main men behind the lens: Vincent! I met Vincent out at an event earlier this summer. We instantly connected because he is hilarious and well, I love to laugh. After months of missing each other, we finally got to shoot together. I was immediately hooked. I loved his story. He is a young guy with an insane amount of creativity oozing from his ever-so-small (obvi) pores who picked up a camera and taught himself how to shoot. 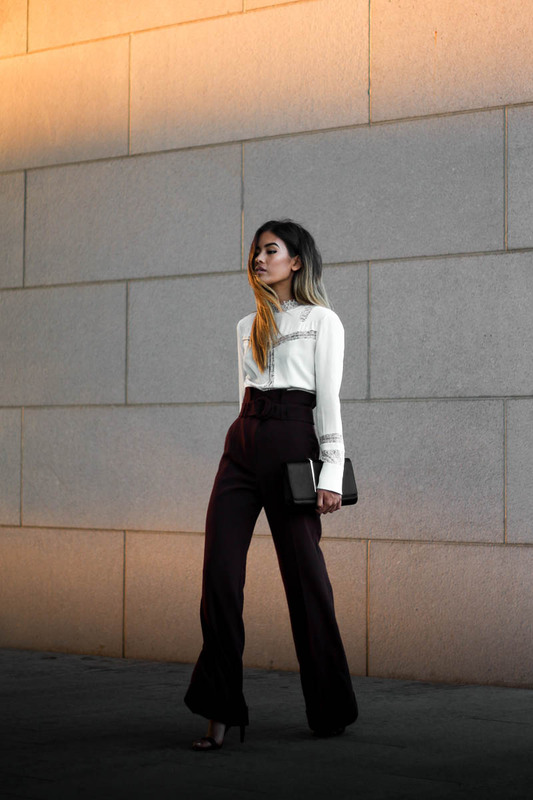 He started his own blog to showcase his amazing personal style and has recently shifted gears to being a photographer for others. Vincent genuinely loves to create and comes from such a pure place far from the saturated market of people just wanting to take take take. I love that he draws his inspiration from fashion editorials, movies, people- you name it. Not sure if he knows this, but he unknowingly gave me a much needed creative boost. His eye for finding the beauty in not obvious places and fresh approach to shooting literally gives me life! It doesn't hurt that I feel like we were separated at birth and have the greatest time together. So cheers to the men and women behind the lens who do not get nearly enough credit as they deserve. We would literally be lost without you! So chic and elegant! 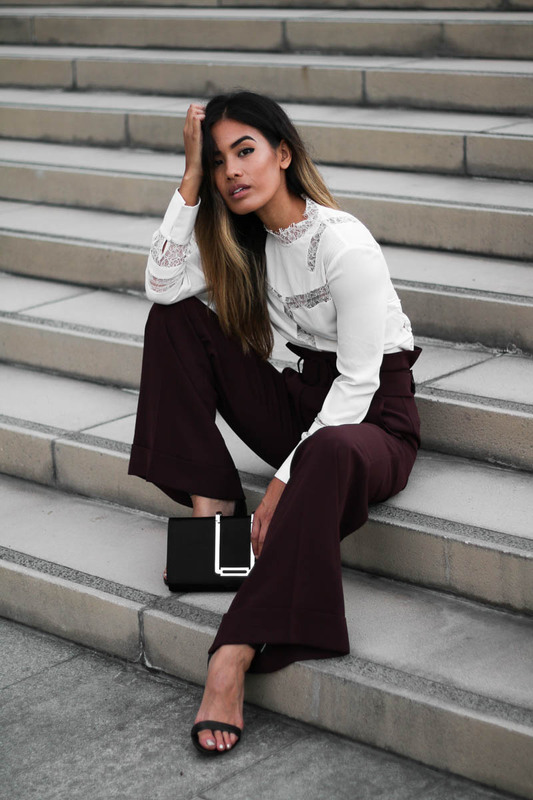 Love ether burgundy flares with that blouse!